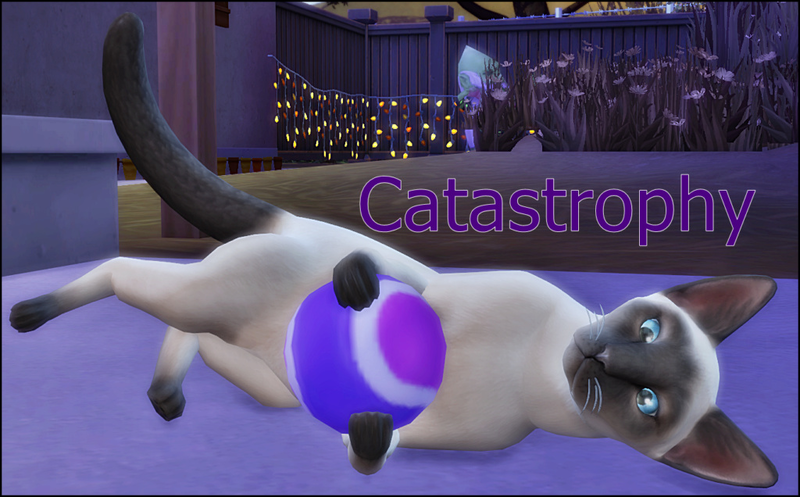 Created to be played using #TS4GetFamous but can be adapted to play without it. Defined as a type of theater lighting or a person being highlighted by such a light. Being in the limelight means being in the center of public attention. The limelight challenge follows two different paths. Becoming the center of attention or staying in the sidelines. *In the limelight: Become popular and well known. >>Complete one or more popularity aspirations. >>Complete one or more wealth aspirations. >>Reach the top of any career. >>Max charisma and at least three other skills. *On the sidelines: Become a supporter while avoiding becoming too famous/well known. >>Complete two or more aspirations under any chosen category. >>Max at least three skills of your choice. 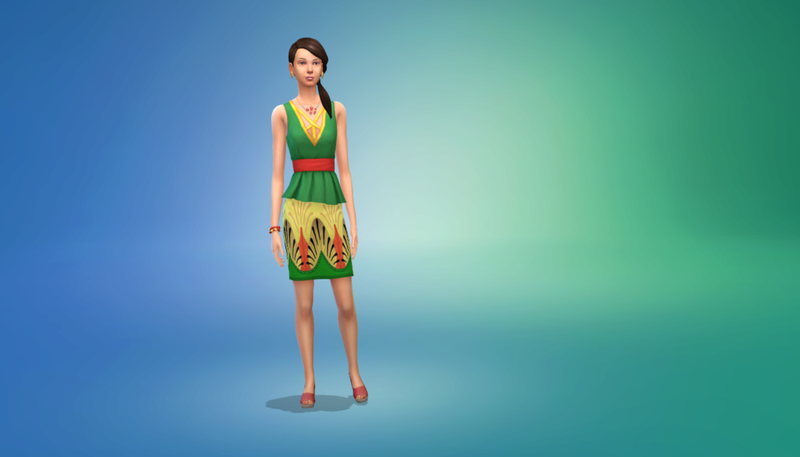 Create a young adult single Sim with no skills. For an additional challenge start with either a teen or adult/elder. Gender and appearance are your choice. Species such as alien, vampire or hybrid are your choice. Custom content (CC) allowed if you prefer. Aspirations and traits are your choice. 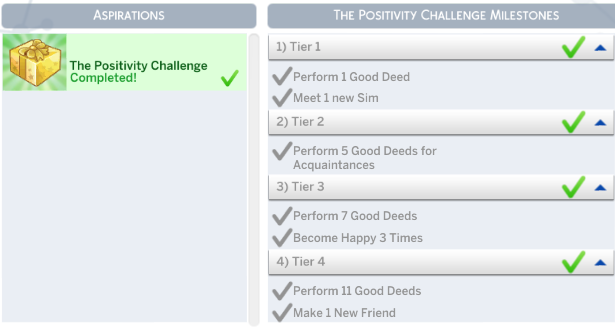 I tend to choose aspirations based on the bonus trait. Choosing a knowledge aspiration adds the quick learner bonus trait. Popularity aspirations add a gregarious bonus trait. 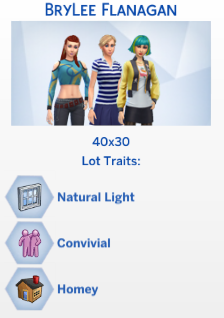 Nature aspirations add the Collector bonus trait making them more likely to find rare collectibles. 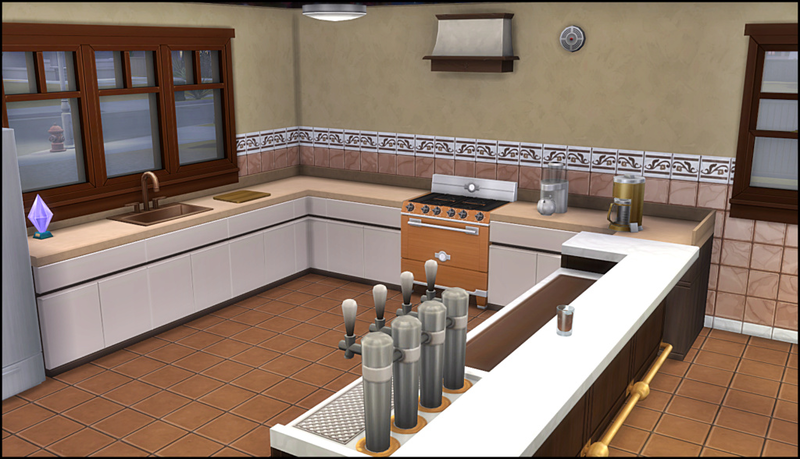 Food aspirations add the Essence of Flavor bonus trait which increases the quality level of the food and drink they create. You can always switch aspirations when you play. Can be played as a single or multiple generation challenge. Aging on Normal lifespan (with Youth potion allowed). Aging can be off un-played households if you wish. No money cheats unless used to remove funds. Humble beginnings for your founder regardless of which path you choose. Starting a new save place your Sim in your choice of worlds. If you want to be really humble (or evil) start on an empty lot with no more than a trash can and mail box. Otherwise a starter home with minimal necessities is good as long as it is affordable with no money or freerealestate cheats. A City Living apartment is also allowed. How you choose to supplement your income is up to you. *In the limelight: Primary goal is to become popular and well known. This is a career Sim and their primary income should come from a career. *On the sidelines: This Sim provides support to the household and is preferably a stay-at-home or work-from-home or self employed Sim. For example money is earned from hobby type activities like painting, crafting or photography. 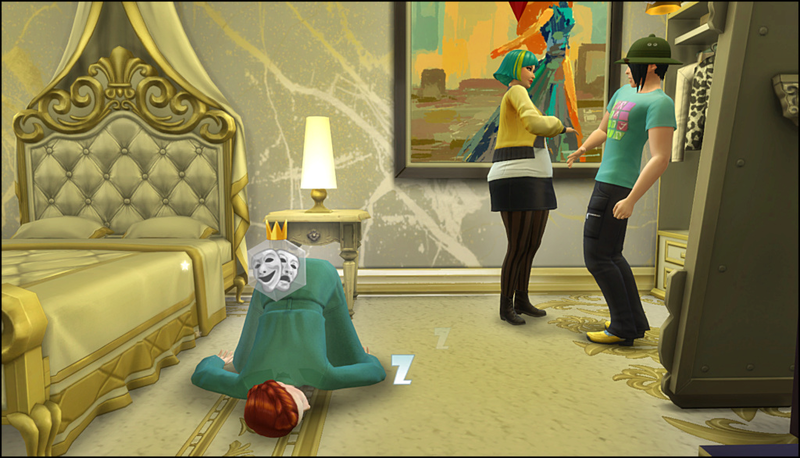 Limelight Sims should be established (at least level 3) in their chosen career before adding to the household. At that point they will become too busy for mundane tasks like cooking and cleaning. They can either marry or ask another Sim to join the household. Money brought in can either be kept or deducted from household funds.They can have or adopt children but another Sim will be the primary caregiver of the child. This caregiver can be another household member or a Nanny or Butler. 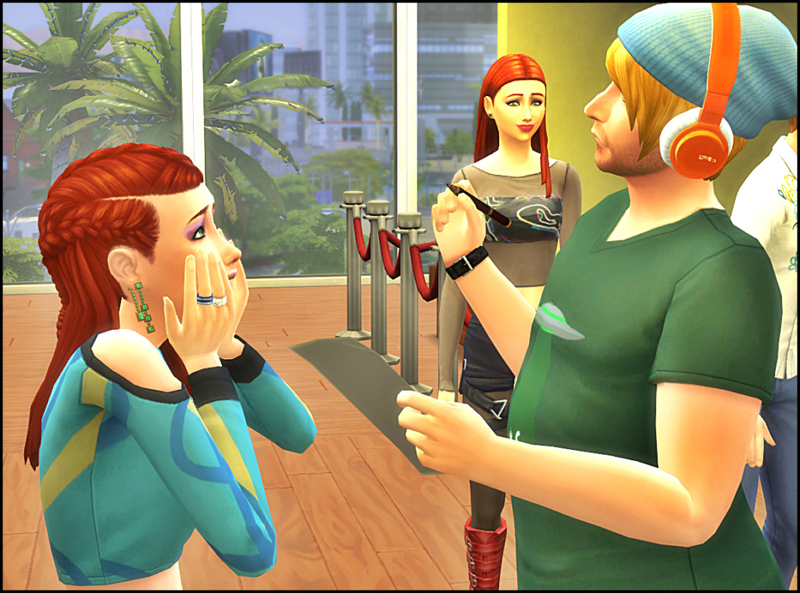 Sideline Sims can either marry or ask another Sim to join the household at any time. They can also become a single parent either by pregnancy or adoption. They will be the primary caregiver of any children. Their main goal is to provide companionship and moral support for the household. The role of Sideline Sim can be assigned to a Sim added to a Limelight household or as a founder. As a founder they become the first generation and encourage their child/children to succeed as a limelight Sim. The rules are fairly simple and can be adapted to your gameplay style. Keeping track of points is not my forte. If you like a point system and want to create one please feel free to do so. Everyone is invited to share their adaptations and story/progress links and information here. 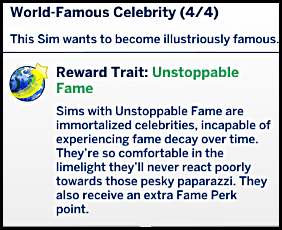 Without the Get Famous options completion goals can be satisfied by becoming top level in careers and completing aspirations. 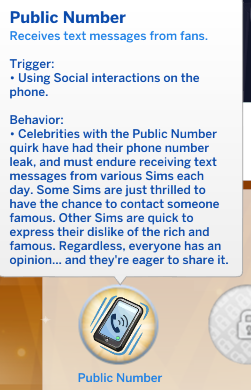 Both of these earn bonus traits that would equate to being successful and popular Sims. Both challenges sound interesting. I'm still working on Generation 5 challenge. I will finish it! I am playing with normal lifespan. So far have not used youth potion but very tempted. *Seasons and calendar settings are user preference. *Custom holidays would be fun. *Lot traits are player preference. 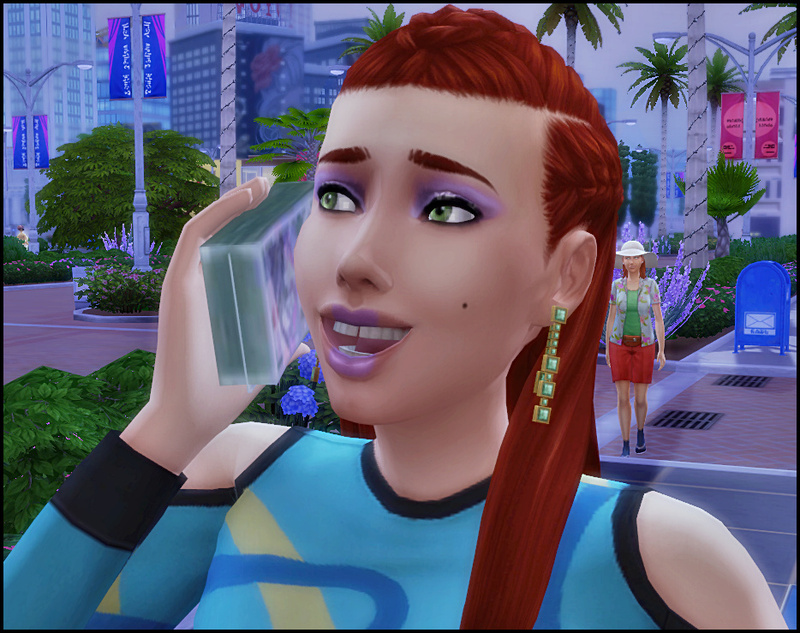 Jill moved into a small home in Del Sol Valley and accepted a job as an actor. Rumor was that Jill Sinclair was the grand niece of a world renowned chef. She did not deny it but did make it known she was not destined to follow that path. She was more interested in a cozy dinner for two than to feed the masses. Meeting celebrities is so much fun. Don't you love the over the top reactions? Brylee is adorable! Yes! This whole pack is amazing. There is so much to cover and I've hardly scratched the surface! The phone issue isn't too bad. She gets both good and bad moods from the texts. I tried not ticking on the negative ones that pop up but they still give her a negative mood. I posted a few on twitter here. This was funny. Has anyone seen this before? I haven't but I usually don't host many events at my sims house. 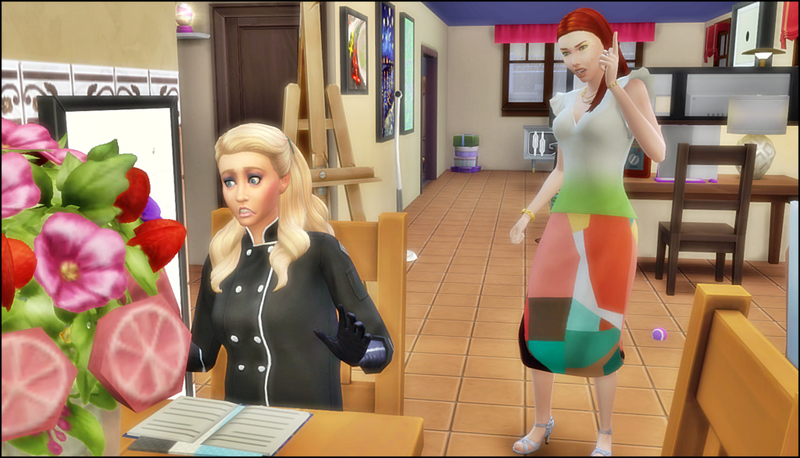 Summer was hosting a dinner party and the line for the potty was very long apparently. Poor Izzy really had to pee. 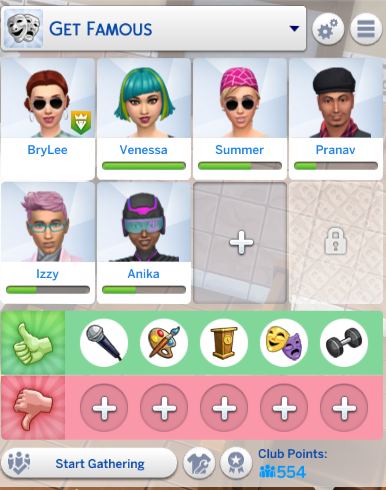 I moved Venessa Jeong and Summer Holiday in with BryLee. Summer's Fame and Reputation are netural. She is in her culinary career the game starts her in. Venessa is pretty much at the same status she started with in the game. I put her in the Style Influencer career. Here's a shot from first person mode during an action acting performance. If you hold down the shift key while in the mode it helps keep the camera more stable. I could tick on the needs icons (bladder, etc) while in the mode and follow the sim around quite easily. It's pretty freaky and neat at the same time. I am not sure how much I'll use it but I can imagine it would be very helpful in story telling. Here's BryLee using her "money phone"....this is so cute. It's the first option in the flaunt your wealth social. Isn't the new clutter great? I love it. BryLee and Venessa visited Orchid A Go Go (up and coming hotspot) and their is a vip type room upstairs. LOL....poor darling almost peed her pants before finding the bathroom downstairs. 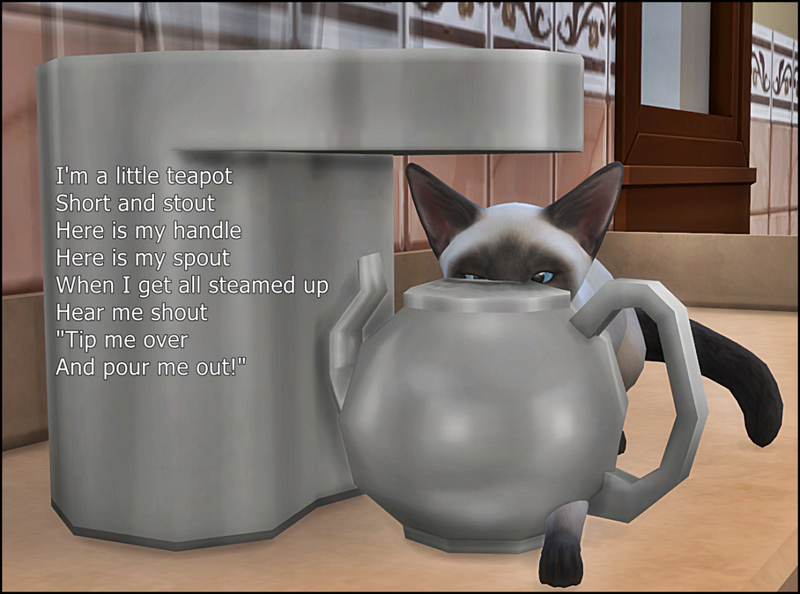 There are usually sims standing in there chatting by the sink. Even thought there was plenty of room in the kitchen to prepare the food. 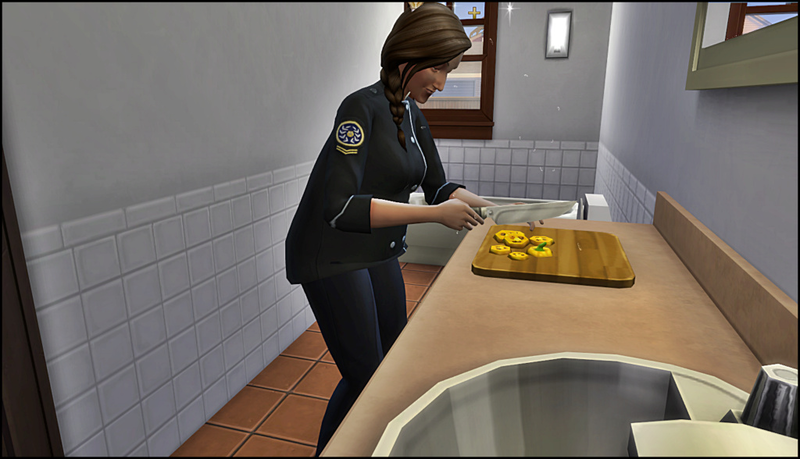 Yes, sims still use the bathroom sink to wash the dishes. BryLee called Millie Bobby Brown (is that her name?) when she completed the Positivity Challenge to recieve her final gift. Millie actually hung around for a bit and socialized with BryLee but I couldn't tick on her to do anything but the challenge options. I did tick on the plate of food to "call to meal" and Millie responded. 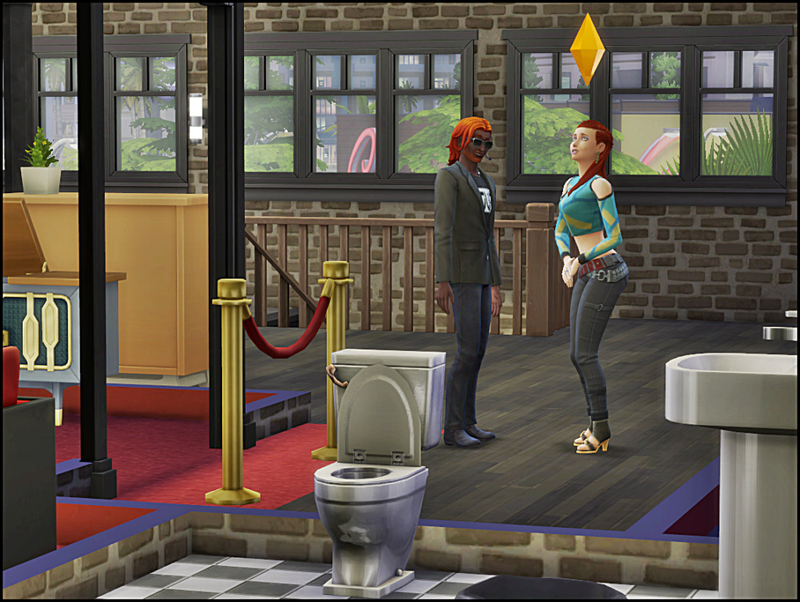 I've been using the club function from Get Together and it is working like a charm. I forgot how helpful the clubs can be. 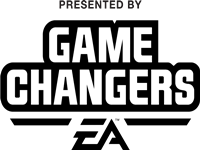 I am really enjoying the challenge and the new game play features in Get Famous. I wonder if being a kindness ambassador is a factor. I cornered Vlad thinking it would be easy to pick a fight and get angry. 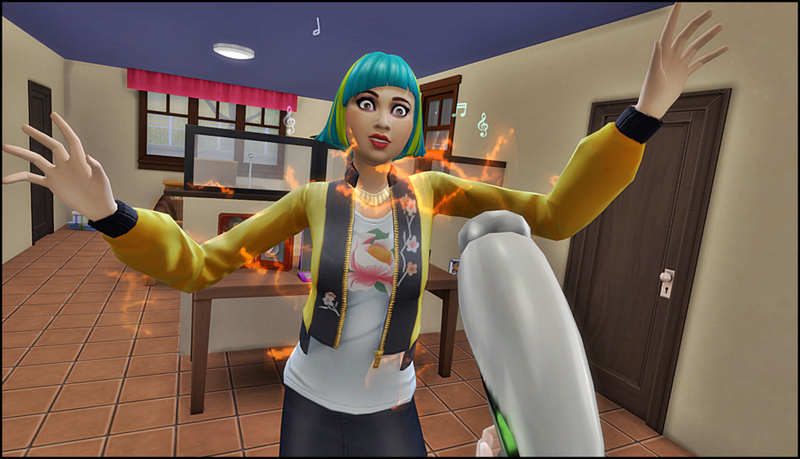 There was a tiny flicker if an angry moodlet but it was overshadowed by several positive moodlets. Should I laugh or cry? Actress Sim Jill is 'killing' them on the set. Well ... they ARE dying! THREE crew members decided it was a good day to die while she was trying to film her movie. Then the bouncer at the awards venue decide he would join them! Here is where Jill Sinclair stands in the challenge. Max skills: Acting, charisma and cooking. Global Superstar and pristine reputation. Fortune is not doing as well as I may have expected. She shows just over $53k earned and $36,488 funds on hand. Jill got stuck on the Actor aspiration. She needs to get an award to get to the next level. Because of the way the actor career is structured it takes a long time to earn a fortune. I do not see her completely either fortune aspiration in time. I started a new save with a different strategy. I know the goals can be met I just need to regroup. The actor career is a lot of fun to play thru all the different gigs. I would recommend having a secondary source of income if you plan on getting wealthy. 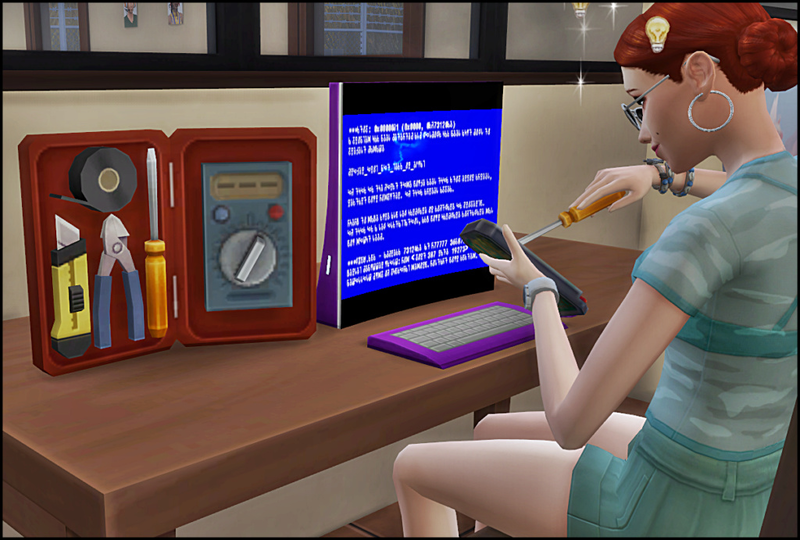 The career is structured in such a way that your Sim will only be able to complete two gigs per week. Day 1: Call agency to select a gig and begin the preparation steps. Day 2: Go to audition (off screen event) and continue to prep for the gig. Day 3: Report to the studio (join or send alone) and do the set tasks. The final task is to complete the performance. You can choose to hang out at the studio or go home. Prepare to spend lots of time networking and can earn fame thru a variety of ways. Discovered the award does not have to be related to acting. 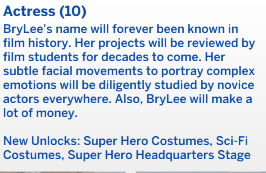 In a new save my Sim received an award for a book she had written. Vanessa tries to update Milly Bobby Brown's look. 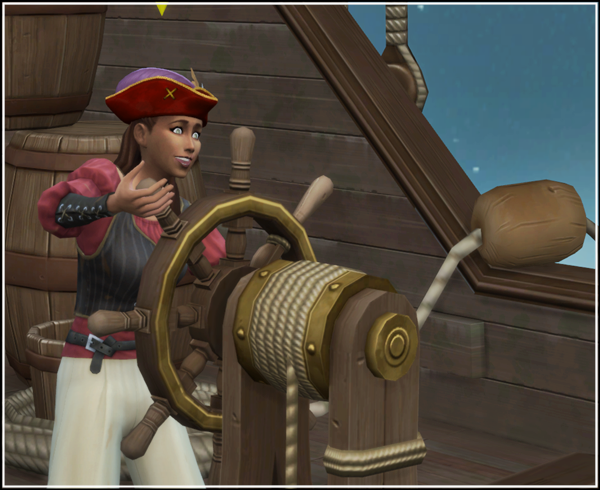 Here's her new look but sadly it did not stick when outside of CAS. A Pitty. BryLee caught Summer reading Vanessa's diary! She was so mad she "thought it was her" diary and suffered a nasty buff. BryLee mastered the rollerskating skill and recieved her "hover shoes". What? 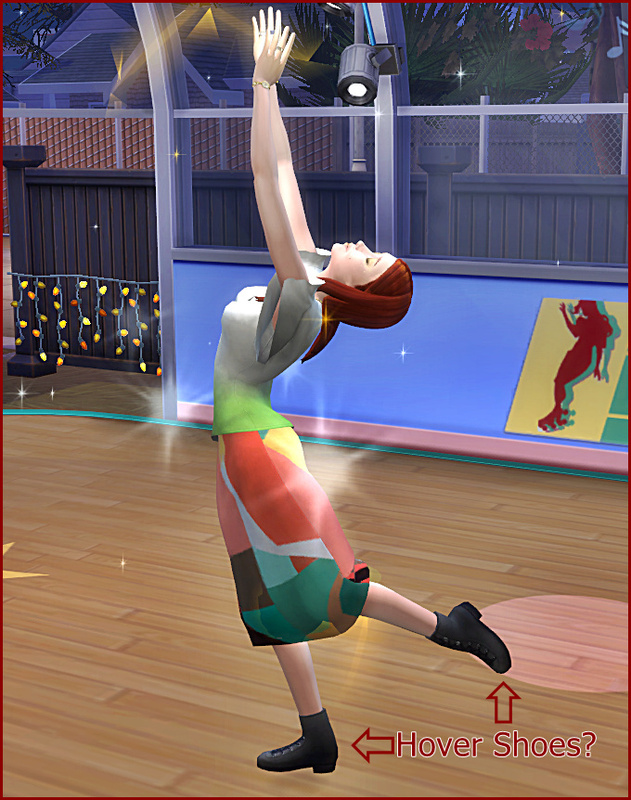 We don't have hover shoes in The Sims 4? Tell that to BryLee. 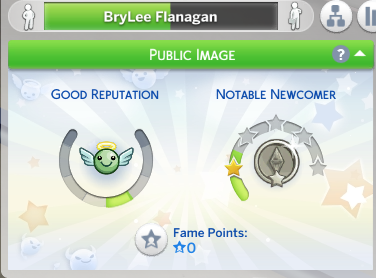 BryLee's "Get Famous" Club lasted past her bedtime! 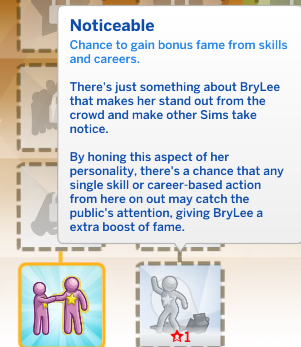 BryLee get's her star, finally! Reach top of any career: Complete!